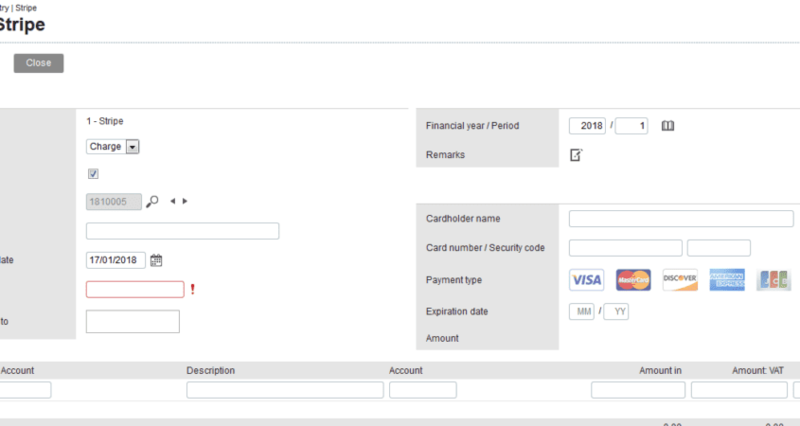 We have just implemented Stripe for payment processing from within Exact Online, our cloud based Accounting solution. We were pleased with the ease of signup to Stripe and how it integrates with Exact Online so that a customer receipt via credit card needs to be entered once only. This is in comparison with our previous payment service where the receipt had to be duplicated in Exact Online. The recording of the credit card information is so straightforward. It appears as a Stripe transaction within Exact Online. You can also use Send and track to invoice customers and collect payment electronically when you are connected to a payment service provider. The sales invoice is sent by email to the customer. You can now view the status of the invoice, including if your customer has read it. See View Sales Invoice History. If you use a payment service provider, your customer can now pay you electronically. Your customer can open the invoice in the email they received and click the Pay Now button to enter their credit card information. The payment is routed to the bank account you registered. We are looking forward to working with Stripe and Exact Online to make it easier for customers to pay invoices and for us to record the payments.